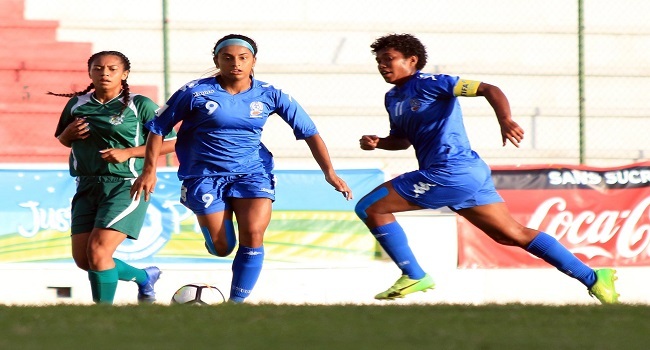 Vodafone Fiji Football women’s striker Trina Davis is expected to miss her graduation and will be part of the side in the OFC Nations Cup in New Caledonia later this month. Davis is in her last year of school in Washington and will join the Fijian side mid of the month to prepare for the Nations Cup. Davis is currently Oceania’s leading goal scorer, having scored four goals in the Nations Cup qualifiers at Churchill Park in August. Speaking to FIFA.com, the USA based 17-year-old striker, says she has been doing a lot of extra work and training and the conditioning coach has been helping her and working on her endurance. Fiji is pooled with Tonga, Cook Islands and New Zealand in its pool. The winner of the Nations Cup will book a ticket to the 2020 World Cup in France.